Hurry! Look at these photos quickly because I'll bet they are going to disappear from the internet. The main protagonist in the swamp of corruption described in my last article, Attack on Freedom, is Marcello Chimirri, head of government-owned Hondutel. His personal photo collection is on the internet. Included are photos showing his luxury mansion and multi-building home complex in Valle de los Angeles, Honduras, his trips to Paris, Germany, and Korea, his horses, etc., etc. Chimirri's garage with 4 luxury cars and a Harley-Davison motorcycle. His caption reads "It pays to go to college." More likely it should be that it pays to be a government worker in Honduras. Chimirri in front of a Hummer. His? Chimirri in front of the Eiffel Tower in Paris. "It's funny that he is accused of organized-crime activities by the press, and called the Godfather of Hondutel. I say it's funny because his favorite movies on his hi5 profile include all kinds of Mafia movies... the Godfather, Good Fellows[sic], Scarface, Carlito's Way, Casino, etc." He seems to be successful in his quest to "meet beautiful and smart women." 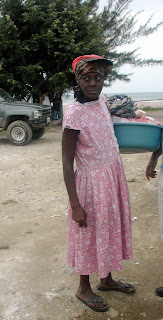 ⇐ Malnourished, aged Garífuna woman, selling bread on the street to make a living. 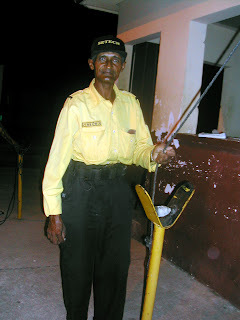 ⇒ Skinny, 50-something man, happy to have a job, so he works 24-hours straight every other day as a security guard so he can eat − but not too often from the looks of it. Typical luxury wooden home of the people. Home made of discarded construction scraps on land that doesn't belong to them, and which will flood when rainy season gets in full swing. Shoeless little girl in mud house with palm frond roof, who will likely never go to school past 3rd grade. 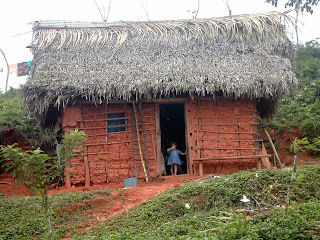 Her dirt-floored house lacks toilet, water, electricity, and of course, a Hondutel telephone. Where is the outrage? Who is going to stop this kind of thing? Thanks go to Anonymous for tipping me off to the link. Donations toward my US $26 million legal fund may be sent to my Paypal account. Attack on freedom. That's what the headline said. Marcelo Chimirri, head of Hondutel, the government-owned telephone company, in an act of governmental intimidation and intolerance, filed a L.500 million defamation lawsuit (US $26.5 million) against La Prensa (San Pedro Sula) and El Heraldo (Tegucigalpa) for the newspapers' reports of the scandals and corruption in Hondutel and, in particular, by Chimirri. The newspapers have been accused of defamation and of being publications with ties to corruption. The newspapers have been demanding investigation of Chimirri and Hondutel. They say that this action looks to stop the campaign for transparency and rendition of accounts from government agencies. The newspapers have reported stories of what they call "the rottenness of Hondutel." Tráfico gris (grey traffic: illegal phone traffic in which international calls are reported as local, reducing the payment as well as the related income and sales tax for the communication) has been the primary charge, along with tolerance of businesses who operate irregularly, threats against other businesses, apparent electronic erasures ordered by Chimirri to eliminate evidence of corruption, and use of Hondutel personnel and equipment to provide telecommunications to high government officials including Chimirri and President Mel Zelaya. A week earlier, Charles Ford, the U.S. Ambassador to Honduras, recommended publicly that U.S. companies not do business with Hondutel until the acts of corruption are "clarified." Official investigations are ongoing. The Fiscal General, with the support of the National Congress, has requested technical assistance from the U.S. and the International Telecommunications association in Britain because of the technical aspects for which the Fiscalía is not equipped to investigate as well as to provide impartiality and transparency to the investigations. Over the past year, Chimirri has ordered the closure of over 50 telecommunication businesses that he has accused of tráfico gris. He sometimes personally led the forces (as shown by newspaper photos) of Hondutel employees, fiscalía, and heavily armed military who have invaded the companies, intimidated employees, destroyed property, and confiscated equipment, records, computers, cellphones, and money, including that of customers and employees. These companies were accused, without benefit of independent investigation or trial, of the very same crime of which Chimirri is now being accused. Only in the case of one company, owned by a high-level government official, was the property returned to the business owner. No reports of trials or opportunities for businesses to defend themselves have appeared. 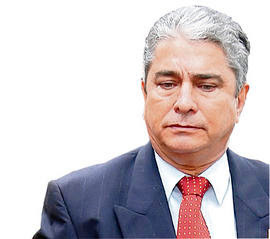 A complaint has also been filed against Diputado (congressman) Valentín Suárez for insulting and slandering the management of Hondutel by accusing them of irregularities. Suárez replied, "What they want is to avoid the investigation of the million dollar fraud against Hondutel. Chimirri himself dismantled 50 local businesses to verify that numbers of operators, suboperators, and Hondutel were making tráfico gris and now there is a great number of citizens who monthly receive adulterated bills with calls to other cities that they haven't made. There are complaints 24 hours per day, 365 days per year regarding the cloning of calls." Suárez explained that with the billions in "grey calls" that Hondutel manages, health, education, and infrastructure (of Honduras) could be improved if the illegal calls became legal. Ironically, this is the same thing that Chimirri said a few months ago when dismantling private businesses. Suárez, assuring that he will not retract his denuncias, estimates that 50% of international calls are illegal, affecting income taxes and sales taxes. "Honduras could be losing L.3.6 billion per year (US $190.5 million) and for this, I demand that it be investigated where this fraud is coming from. One thing is certain and that is they are using land lines and mobile numbers owned by Hondutel." Suárez has also accused Chimirri of pulling his pants down in front of congresswomen. A denuncia (complaint) has also been filed by Chimirri against the legislator's son, Carlos Suárez, former head of International Management of Hondutel, who was terminated two months ago for irregularities. "We have the case almost ready for abuse of authority, breach of official duties, and fraud. The state has lost L.100 million because of his (Carlos Suárez) inefficiency," said head attorney for Hondutel. The attorney stated, "La Prensa and El Heraldo have created a campaign of sensationalism to the detriment and deterioration of the nation of Honduras. This campaign has caused a great loss to the state of Honduras and the Honduran public." He added that they have revealed corrupt situations that, according to him, are not true. "Only these two media outlets have campaigned directly against Hondutel and the government of Manuel Zelaya." By comparison with the media in the U.S., the media of Honduras is very weak. It's not at all unusual for public officials to simply refuse to speak to the media or to provide data for reports or investigations. Reports of corruption are often vague and don't name names. This may be partly because of inability to obtain the underlying facts, but more often it is blamed on political or financial pressure and just plain fear of reprisals up to and including murder. 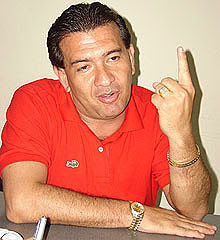 At this point there is no way for the average citizen to know if Chimirri is corrupt or whether the charges made by Diputado Suárez were a result of retaliation for the firing of his son or whether his son was or was not another corrupto in the swamp of corruption that is Hondutel and the entire government of Honduras. It is entirely possible that this is a battle between three corruptos! May the most powerful corrupto win! 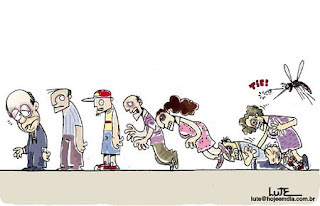 If history is any predictor, we will never know all the facts nor will any of the corruptos ever be held accountable for their actions, because only in the rarest cases are corruptos ever convicted of their crimes and those few are generally lower level government employees. Of 2,000 corruption denuncias, only 11 have resulted in convictions. One thing that is obvious, though, is that if the media is further intimidated from investigating and reporting charges of corruption, there is no hope for cleaning up the government of Honduras. Individual citizens will rarely report corruption knowing the danger it may put them in. Even when they do, their complaints must face the hurdle of corruptive influences at every step of the way. Most people will not file complaints because they know that it is a waste of time. Honduras passed a transparency law eight months ago after pressure from international organizations but has yet to name a committee to administer it. Agencies are required to render accounts to the public. Government employees by law must provide personal financial statements. The simple fact is that these laws are merely window dressing to appease pressures from international aid organizations and are rarely, if ever, enforced. In more recent news, Roberto Micheletti, president of the National Congress and member of President Zelaya's own liberal party, advised that no one, regardless of their power, can restrict the freedom of expression in this country. Additionally, the InterAmerican Society of Newspapers met in Tegucigalpa and express their concern about the tension between the executive power and the media and the fact that not all newspapers are treated equally. 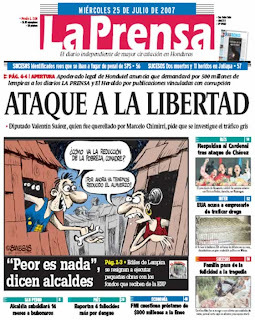 Other recent threats to freedom of expression in Honduras have been the forced television shows, the threats against Revistazo.com, and President Zelaya's attempt to censor the media. Interesting that liberal La Tribuna had very similar articles as nacionalista La Prensa, but they weren't sued. Update 07/31/07: What does Chimirri spend his money on? See for yourself in his online photos. Hurry! Look quick before it's gone. Woman: Right now we're already reducing lunch! Not bad free range results for my first try. Not that I can take credit − it just shows the quality and varied interests of my wonderful readers. Maybe I'll try this again sometime. I was thinking it might be a good way for those who are thinking about blogging to "get their feet wet." Here are some of the internet tips, jokes, and shameless self-promotion left by readers. It's shameless because when you have an invitation to promote yourself, there is no need to be ashamed! If you like to listen to music online and don't necessarily want to download it... there is a really cool website it is SeeqPod. It has a player built in so you don't have to download anything in your computer and you can listen to music at work !! if you want to see some others people secrets this is a great place... Post secret.com ,,,remember: i'm a pal from la ceiba. Ok, check out actor Jeff Bridges' website. Some pretty unique stuff, done in an imaginative format. I don't have much time for fun internet stuff and I never visit celebrity sites, BUT, wow! I was fascinated with Jeff Bridges site. Thanks for the link, Gordo. I just got back from Morocco and am 2/3 finished with my blog, but you can read what I have so far! Nice blog, Letitia. Very well done and the photos are excellent. I enjoyed *my* trip to Morocco! Want to waste some time doing silly quizzes? I wasted some time. :-) The language test was interesting. Having spent most of my life in Texas, I found that my answers were frequently popping up as being common from the Great Lakes area, where I grew up. And here I thought I was fooling ya'll. You have ever been spanked with chanclas. You have later been spanked with the plancha chord. You know your mom is sneaking up on you because you can hear her chanclas on the linoleum floor. Your mother yells at the top of her lungs to call you to dinner and you only live in a one bedroom apartment. You can get to your house blindfolded by the smell of the chuletas. You light a candle the night of the Lotto drawing. You get scared whenever someone mentions "el cucuuuuiii". 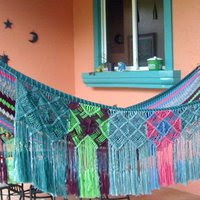 You have gone to Tia's house and passed through the beaded curtain in the living room. You step into a house that has all those little figurines taking up every inch of space on/under the TV and you have a porcelain cat, dog, Buddha or elephant in your living room. You have plastic slipcovers on your sofas. You swear "Choco Mil" is the same as Slim Fast and try to lose weight by drinking it. You know at least one person in your family named Maria, Carlos, Papo, Juan, Jose, Tony, Tito or Luis. You not only know who Don Francisco from Sabado Gigante is, but you tell people he's your tio. You have ever had to -beepiar- a friend on their pager. You have told your kid not to walk the floor barefoot or they'll catch a cold. You go to a wedding or Quiencienera, gossip about how bad the comida is, but be the first to take a plato to go. You have a chola in your barrio named "La Flaca: who's bigger than a house. You have a cousin named "Guero" who's darker than night. You know a chola named "La Shy Girl" who is loud and obnoxious. You've tried to bring a mango back to the US from Mexico, and a bonus point if you actually made it all the way home with it. You have sat in a two-passenger car with over seven people in it. You have at least TWO statues of saints in your house (and a bonus point if one of them La Virgen de Guadalupe). You get another's attention by saying "chhh chhh" or "Pssssst." You call your sneakers -tenis- . Your car has fifteen speakers in it and you fix it every weekend. And last, but not least...Your grandmother thinks she has the miracle cure for everything. From Aaron's post: "And last, but not least...Your grandmother thinks she has the miracle cure for everything." Oh my god this is so true! Not just miracle cures, but rules of life! Or so my boyfriend says. Anytime he doesn't want to do something, he says it is bad or you shouldn't do it at that time of day because "mi abuelita dice"! It's bad to take a shower as soon as you wake up.. mi abuelita dice. It's bad to eat cabbage (cooked or raw) for dinner..mi abuelita dice. It's bad to take a shower before you go to bed..mi abuelita dice. I've heard some pretty interesting things, too. Here, abuelita says drinking cold water will make you sick, and heaven forbid, will probably kill you if drink it while you are already sick! Pepsi Company has just had to admit that its bottled water, Aquafina, is actually tap water. They defend their position by saying that the tap water has been purified through reverse osmosis, oxygenated and ozonated, but it is still tap water. I wonder where the bottled water in Honduras comes from. Eeeww, don't want to think about it. Free Range Posts or a weekend off? I don't know which is the better idea! I feel I "owe" you so many comments and I wasn't going to be the one that didn't leave a comment this weekend! Glad to see you're getting a good turn out. Inspired by the free range idea I did a long post that references the comments I failed to leave here. Hope ya'll had un buen fin de semana!!! I'm glad you are finally speaking out. I enjoyed the stories. Hi, this isn't about gardening, its about breakfast. I didn't want to spoil your weekend. This is a link to breakfast. Just getting started. Your post made me hungry. Since you are in Costa Rica, why no tortilla breakfast sandwiches? There you go! Another link to your blogs for your efforts. Thanks, folks, for taking the time to entertain my readers. You did a great job. I got this great idea from reading a now-closed blog. You've heard of free range chickens? They go where they want, do what they want, eat what they want. 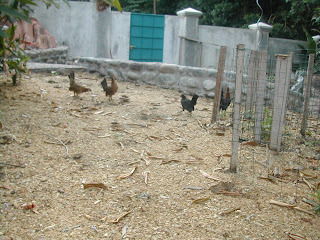 Wanting to take another weekend off, we are going to have free range posts in the Blogicito's comment section. I'm going to depend upon you faithful readers to keep each other entertained! What a fabulous idea! Have you discovered a fascinating new blog or started one yourself? Tell us all about it. Shameless self-promotion is encouraged. Tell us a funny story or a yummy recipe. Laughs are always a good thing. Give us a link to a great article, photo, video, music, or cartoon − even your own. I'm going to get you started. Now click on "view x comments" to see what we have. I'm waiting to be surprised! Wow, am I going to be embarrassed if there isn't anything there on Sunday night. I'm taking a big chance here! fine print: I reserve the right to delete anything that I deem completely inappropriate. At first glance, you might think these Mosquitos (residents of the La Mosquitia area of Honduras) have to come to greet some successful fishermen on their catch of the day. But, no, the harvest in this case is drugs. Those barrels contain cocaine. Some 200 Cauquira villagers are aiding and abetting the drug traffickers. Armed with machetes, they protested against the 15 armed Honduran naval personal who were almost lynched, according to La Prensa. The police, military, and fiscales (district attorney's office) involved in the operation were only able to decommission 24 kilograms (53 lbs.) of the estimated 1,000-2,000 kilos of cocaine (1-2 tons). Nine local residents were detained. The narcotraffickers, suspected to be Colombian, escaped along with the rest of the drugs, hidden among the population . According to police, "one way to survive in this isolated area is to unload drugs that come on boats and planes to be sold to distributors. It is common in these areas, far from the capital, that the people have dollars as if it was an industrialized city." Authorities say that the drugs are sent east and ultimately to the U.S. or Mexico. These photos were taken on Friday, July 20, 2007, by a team from an unnamed US government agency invited by Honduran President Mel Zelaya to help Honduras stem the drug trade. La Mosquitia area is larger than the country of El Salvador and difficult to control because of logistics. Today's La Prensa editorial called for more backup from the U.S. to address this problem. 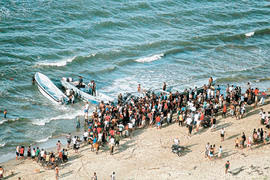 An update in yesterday's La Prensa states that the five crew members of the drug boat are still at large. La Prensa reported the results of an interesting public opinion poll regarding the country's Poverty Reduction Strategy (PRS). A PRS plan is designed to be a long range integrated, sustainable plan developed by a country to reduce poverty with the participation of the stakeholders and the World Bank International Monetary Fund. You can read more about PRS, along with Honduras' 15-year plan, and reviews of its implementation at the IMF website, although the most current reviews have not been posted. Incidentally, Honduras has come under much criticism lately and is facing the possibility of losing aid because they have accomplished little in the six years since the plan was approved in 2001. What do you think is the principal factor that has dragged Honduras into poverty? What do I think? I'm with the majority of the Hondurans who were polled. I believe that 99% of everything wrong in Honduras is either a result of corruption or could be improved if it weren't for corruption. 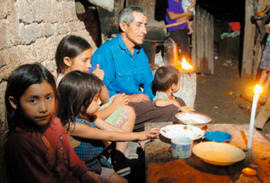 I'm afraid I'm also with the 71% who don't believe that Honduras will ever rise out of poverty. I think the corrupt are just too greedy and powerful to let that happen. Sorry to be so pessimistic, but lets see where we stand in another six years. I'm betting it will be pretty much where we are right now. In a related article, La Prensa reported that for 2007, debt forgiveness has reached U.S. $184 million. Much of the available funds in the last years have been spent on current governmental budgets and salaries, instead of being directed toward reducing poverty. "To some, PRS is a failure, because poverty is as robust as ever at 66%, although the government assures us that it has been reduced by 6 points." Mauricio Burdeth, coordinator of the Foro Social de la Deuda Externa de Honduras, Fosdeh, said, "From our perspective, there is not the slightest chance that poverty has been reduced." He claimed that there was manipulation of the statistics. "It is an official lie and all of the poor people know it." Revistazo reported that a Swiss study showed that the breach between rich and poor has increased and that $2 of every $3 of the condoned funds went to fulfill the campaign promises of President Zelaya. Every year I read of hundreds of millions of dollars given to or loaned to or forgiven of Honduras. That isn't even counting the untold millions of dollars provided by untold thousands of foreign organizations who come here to build houses, bridges, schools, orphanages, sewer systems, and water systems, to provide medical care, food, clothes, and schooling, etc., etc., etc. Until the government, and the corruptos in particular, are held accountable for the loss, theft, and misuse of these funds, poverty will never change in this country. So, how did you answer the question? Reina Isabel, the 10-year-old abandoned at the hospital along with her newborn sister, has been placed in the Nueva Esperanza center (new hope) with her 5-year-old sister and the newborn. Honduran citizens reading La Prensa's articles have donated clothes, milk, and a baby carriage for the girls. The 5-year-old says that she wants to leave the center. The mother has gone to the center to visit her daughters but has been denied visitation as the girls are in the custody of the state (IHNFA). The Nueva Esperanza center was constructed seven months ago by the Junta de Andalucía, Spain. I'm hoping it is not one of the IHNFA centers that I've read about where the children are starved, beaten, sexually abused, and live in filthy, lice-infected surroundings. The girls look happy in the photo. Under Honduran laws, it is highly unlikely that they would ever be eligible for adoption. Latest reports from the Honduran government state the current official count of classic dengue fever cases is 7,715, an increase of almost 1,700 cases since the previous week. New cases of the classic strains had been averaging about 1,000 per week previously. Confirmed cases of the potential fatal dengue hemorragico increased a staggering 100 to a total of 397, and the death toll increased by one to a total of six fatalities. La Prensa reported: "The reported numbers contradict the version of the authorities, who have said the epidemic "has stabilized." In spite of the statistics, the Secretary of Health has refused to increase the level of alert that was declared weeks ago." 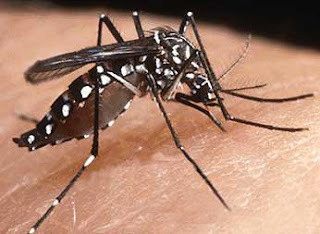 In an article in the weekly Ceibeño section of La Prensa, it was noted that the "Asian Tiger" mosquito, Aedes albopictus, was first noted in the La Ceiba area in the first months of 2006. It is considered more aggressive, more epidemic, more tolerant of low temperatures, harder to control, less likely to be eliminated, and is gradually replacing the Aedes egypti mosquito. No numbers for the La Ceiba area or the departmento (state) of Atlantida have been reported in any of La Prensa's dengue articles. This article, however, makes the vague comment that "the cases of dengue have been controlled in Atlantida as a result of the awareness of the people." I hope that is true. We don't know anyone who has had dengue recently. 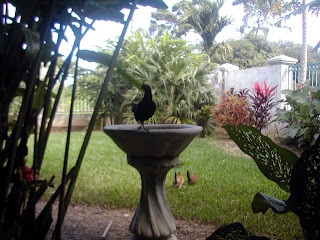 For more information about dengue in Honduras and photos of the Aedes mosquito, see this previous article. For you newbies thinking about moving to La Ceiba, you might want to check out the old articles from July and August 2006. Since I'm living in Honduras, the original Banana Republic, I should be growing bananas, right? Not too shabby a harvest − there are at least 50 bananas here! Oh, they are a little small, I'll admit, but the plants weren't fertilized, weren't sprayed with nasty poisons, and were only watered once during that long dry spell we had, so I'd say they did pretty well. Banana plants only produce one stalk of bananas and then they die, and are chopped down. Ours always fall down, often before we want them to. The problem is that a stalk of bananas is so heavy, it just pulls the whole plant down with it. We prop them up sometimes, but our bananas mostly grow in spite of us, not because of us. I can't tell you what kind of banana these are. We bought the plants from someone out of their garden, and as a matter of fact, they were supposed to be platanos (plantains), but that's okay. I hope that we have another one of those mystery popoulu plants. Those were really good. It's difficult to tell a banana plant from a platano. It can be done, though, Neotropical Savanna tells us. Frank says that he can tell, but we can't until the fruit forms. As the plants are growing the mother plant sends up little shoots, or pups, so you get new, free plants. According to my tropical gardening book, the custom in Malaysia is to maintain three plants in each clump. One full-size about to produce plant, one half-size, and one new baby. That way you'll get fruit three times a year from the same little space. As you get extra pups, they can be planted in other areas. My book says the same plant can continue in the same spot for about five years, after which you'll need to pull it up and renew the soil. 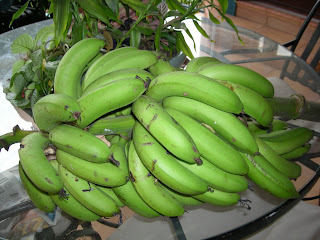 We like green bananas best and these will stay green for quite awhile. Even so, there is no way we eat that many bananas so we gave about half the stalk to Frank. I see a lot of tajadas in our future. When I set it up, I signed up for email notification when someone signs my guestbook. Interestingly, today, almost a month later, my 68th guest signed and I received my very first email notice. Ha ha! Got a little bug in the system, I would say. Otherwise, it's a pretty cool toy for my blog. I would recommend it if you have a blog. By the way, even though you have to enter your email address, I don't receive that information, and as far as I know, Slide.com isn't spamming anyone. The other evening, we took a taxi to town and back home again. On the way to town, we noticed a foul odor just before we reached the Cangrejal River. We asked the taxi driver about it. He thought it was from a plant making cal (lime, used for mixing concrete). I don't know if that made any sense or not. I don't think that the odor was coming from the river because we smelled it before we turned the bend and no as strongly over the bridge. On the way back, we asked the new driver if he knew what the smell was from. He didn't, but he said that that smell was nothing compared to what Standard Fruit (Dole) does near where he lives, right in town. He said that Dole cleans their equipment and dumps chemicals in the estero (stream which drains into the ocean) which causes a horrendous odor which lasts for 20-30 days. It turns the water creamy. He said he could hardly bear to live there. Well, that's Honduras. Big companies get away with anything and the little guy suffers. Not just the little guy, though, because companies contaminate the water for everyone, not to mention that ultimately these chemicals make their way to the ocean and damage ocean life and the reef. Standard Fruit workers had to take their lawsuit to the U.S. to try to get justice for the damage they have suffered from poor and dangerous chemical practices of this company. The reason most companies come to Central America is to take advantage of the cheap labor and the lack of or lax enforcement of environmental laws. If they can be sued in the U.S., we may see that change in the future. Dengue fever is a viral disease which affects more than 100 million people each year in tropical and subtropical areas. It is caused by a bite from an infected Aedes aegypti mosquito, a day biting mosquito, which prefers to be indoors and is likely to bite the feet or ankles. Dengue is also less commonly caused by the Aedes albopictus mosquito, also known as the Asian tiger. 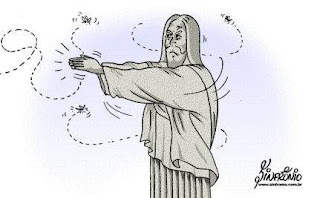 The mosquitoes become infected when they bite an infected person. Dengue cannot be transmitted person to person. 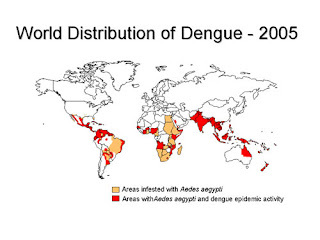 Dengue is widespread in much the same areas where malaria is prevalent. 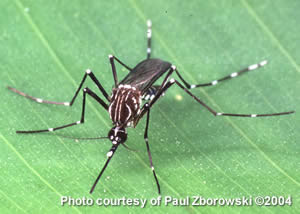 The dengue mosquito can be identified by the white stripes on its black legs. 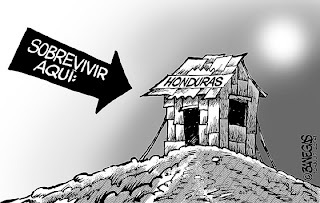 La Prensa has been reporting a dengue epidemic in Honduras for several weeks now. 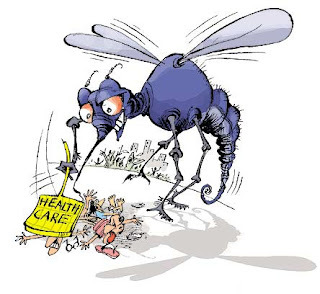 In the first 6 months of 2007, more than 6,000 cases of dengue classico have been reported, primarily in Tegucigalpa, San Pedro, and Puerto Cortés. That figure is almost double the number of cases reported in 2006. Keep in mind, though, that many people can't afford to see a doctor, don't have access to a public hospital, or are too catracho-macho to see a doctor, so my guess is that the number of cases is actually much higher. As of last weekend, Hondurans have experienced 297 confirmed cases of dengue hemorragico (DH), which is also almost double the number of cases that occurred in 2006, and 5 deaths from DH. Since currently the death rate is "only" 1.6%, the alert is still being classified as a green alert. It won't be changed to a red alert unless the death rate gets to 5% of the cases. Cases are confirmed by sending blood samples to the U.S. Center for Disease Control (CDC) in Atlanta for diagnosis. As a result of the delay, the number of suspected cases is usually much higher than the number of confirmed cases. I don't think that I need to translate hemorragico and I'd rather not get into that. Just use your (worst) imagination or see the US National Institute for Health or CDC sites if you want to know more. Dengue is relatively rare in the U.S. and most U.S. cases can be traced back to a trip to a tropical country. No treatment, no cure, and no vaccine are available for dengue fever. You get it, you feel like you are going to die (and want to), and then you get over it − usually between 3 and 7 days. There is no cure or vaccine for the potentially deadly dengue hemorragico either but hospital care is needed to keep the patient alive with fluid replacement therapy and possibly blood transfusions until he recovers. Since the symptoms are pretty much the same for both diseases in the beginning stages, it is important to see a doctor to be tested. The good news is that once you get dengue you develop an immunity to that type; the bad news is that there are four types, and each of them can develop into DH. A dengue education campaign is ongoing in Honduras. La Prensa does a very good job of educating people and I'm sure the other newspapers do, too, as does television and radio. The primary prevention is to eliminate all sources of standing water and soggy soil which provide a breeding ground for the mosquito larvae. The mosquito doesn't travel far in its lifetime, so keeping your own home and property free of breeding areas will help to keep you safe. This, however, is difficult to impossible to do in some poor colonias with rutted dirt roads, open sewers and ditches with standing water. Trash, believe it or not, is a big threat because all that plastic trash holds rainwater and provides a perfect, protected breeding area. So, that is one very important reason why this culture of littering and dumping trash everywhere needs to stop! The ever present open pilas (concrete laundry sinks) filled with stored water are another big issue. The government sometimes provides abate to add to the water in pilas to kill the larvae. The government also fumigates some houses in the worst affected areas. The CDC says that this spraying is a relatively ineffective way to control the mosquito. The CDC's Dengue Fact Sheet can be viewed in PDF format here. I have had dengue but I'll spare you the details. It was terrible. Dengue is not something I worry about. I have enough to worry about and if I had to worry about the possibility of one infected mosquito getting into my house, I'd drive myself crazy. There is no way to keep an airtight house with the kind of windows we have here. If I was coming to Honduras on vacation, I would probably use Deet even though I hate using it and normally don't. But I can't live my life covered with Deet. So, I'm taking the Honduran approach and saying, ¡si Dios quiere! (if God wills it!). After all, I'm already one down and only three to go. What can you do with a day's pay? A day's pay or pocket change? I have this habit that I just can't get over. El Jefe doesn't like it so I usually keep it to myself but every now and then it just pops out. Back in the U.S., I would often justify buying some silly kitchen gadget or a new plant or other nonessentials by telling myself, "Well, it only costs the same as a trip to McDonald's." Here in Honduras, I often think of the cost of things as how it compares with an average unskilled Honduran worker's daily wage. Let's use L.100 per day as an example (US $5.29). Agricultural workers and maids usually make less than this, unskilled construction workers are now usually making a little more, but L. 100 is a nice round number. a Wendy's combo and a Frosty. a taxi to town and back for one of us, or both of us if we were lucky enough to catch a collectivo taxi. a Triple Chocolate Meltdown at Applebee's − no wait, I'd need another L.22 for tax and tip, but I think they have one or two other desserts in the L.100 price range. a chicken and a small bag of rice. about 1 1/2 gallons of gas. a banana split and a cappuccino at Baskin Robbins. So looking at it another way, my day's pay could cover my transportation to work or it could allow me one meal per day, but not both. For the past year, since July 15, 2006, La Gringa has been making friends and contaminating minds all across the globe. This is post number 400! Hello, world, and thank you for visiting. Okay, that's enough bragging, besides the numbers between one counter and the other don't jive. We had no power or water today from 8 a.m. to 5:30 p.m. so I have to keep this short and go cook dinner. Not to mention that I always get punished for bragging. Don't forget to sign my guestbook at the bottom of this page and upload a photo to represent you or your country! I've been saving this cartoon for years. I just got the biggest kick out of it. That is kind of the way some (U.S.) Americans think, huh? Matthew (formerly) at littlewoodenman wrote about the latest internet phenomenon, Facebook. I hadn't heard of it − no surprise there − so I went to check it out. As Matthew pointed out, you can't even see what it is all about until you register. So I did and it immediately told me I had no friends. Thanks a lot. I signed up to be Matthew's friend and I think he has accepted me. A couple of people sent requests to be my friends (thanks, Sharon, Pam, Aaron and David − wow! Five friends, that must put me right up near the top, huh?). I don't really get it! I have a lot of problems with it, too. For example, when I try to "accept a friend" or read a comment on "my wall" (don't ask me! ), it isn't there or it wants me to re-register or something. Overall, I find it frustrating and pointless and I'd much rather read what someone has to say in their blog. You know, get to know the real person. I'd much rather you sign my guestbook below. Since the blogicito has a bilingual audience (about 6% have their computer set to other than English as their official language − and I admire you for reading in English by the way! ), and since some of my references and links are in Spanish which is difficult for many of the English speakers, I thought I would pass along some tips for online translation if you ever need it. First of all, to translate this blog, you can use the Alta Vista Babel Fish translator in my sidebar to translate any page to another language. Sometimes it quits partway through the page so to translate an individual article, click on the article title to open it in a separate page, and then click on the flag of the corresponding language that you want. Spanish is the red and yellow flag, in case you don't know. It doesn't work well at all for writing that includes two languages as mine often does since it tries to find Spanish translations for Spanish words and gets really confused. Colloquialisms are often a problem. Also, language is human and computers are, well, computers. Smart as they are, they haven't quite gotten to the point of thinking like the human brain. As a result, sometimes the translations are a bunch of gobbledygook. Usually, though, you can get the gist of the article if you ignore the grammatical errors. If you just want to translate a word, a Word Reference translator box is also in the sidebar. Just type the word in the box, select the language you are translating from and to, and click "go". Word Reference is an excellent online dictionary and discussion forum. Don't just quit after reading the definition. Below the definition, most words will also have a list of links to related discussions by the forum members. Since dictionary definitions don't always help because words are often used differently in different countries, the forums are a great place to find out how a word is really used in day-to-day language or how a word might have a different meaning in Latin America vs. Spain or South America, for example. I can read pretty well in Spanish but I use Word Reference almost every day to translate a word or two. To translate other web pages, Google Translate allows you to translate a block of text (copy and paste it) or a complete web page (type in the url). It also has a basic dictionary. Alta Vista Babel Fish also can translate a block of text or website. The results are very similar with both of these sites − sometimes good, sometimes not so good. Freetranslation.com is a professional paid translation (human) service but also provides a free (computer) translation of a block of text. Langenberg.com is a translation portal to Google, Alta Vista, and several other translation sites. Paste a block of text and you can view the various translations from several sites. This can come in handy when a particular site gives you a nonsensical translation. All of these sites can perform translations to and from English from and to many different languages in addition to Spanish. The official dictionary of the Spanish language can be found at the Real Academia Española but you'll need to know Spanish to understand the definitions. Just for fun, I used FreeTranslation.com to translate this article to Spanish. I then corrected many things that didn't look right to me using WordReference, and probably missed many more things that should be corrected. 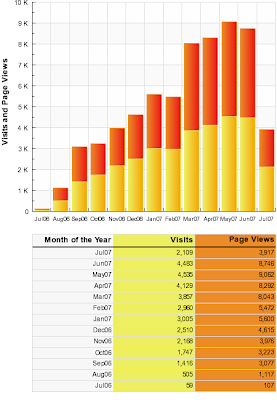 Ya que el blogicito tiene una audiencia bilingüe (acerca de 6% tiene su computadora configurados a de otra manera que inglés como su idioma oficial y yo le admiran para leer en inglés! ), y desde que algunos de mis referencias y las enlaces están en español que es difícil para muchos de las personas de habla inglesa, yo pensé que pasaría de algunas sitios para la traducción en línea si usted jamás lo necesita. Ante todo, para traducir este blog, usted puede utilizar al traductor de AltaVista Babel Fish en la columna derecha para traducir cualquier página a otra idioma. 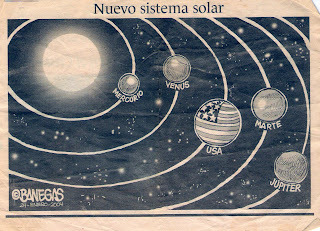 A veces deja parcialmente la página. Para traducir un artículo individual, haga el clic en el título de artículo para abrirlo en una página separada, y entonces clic en la bandera del idioma correspondiente que usted quiere. Español es la bandera roja y amarilla, en caso de que usted no sepa. No trabaja bien en todo para escritura que incluye dos idiomas por que trata de encontrar las traducciones españolas para palabras españolas y consigue realmente confuso. Las expresiones familiares son a menudo un problema. También, el idioma es humano y las computadoras son, bien, las computadoras. Inteligentes como ellos son, no han conseguido absolutamente al punto del pensamiento como el cerebro humano. Como resultado, a veces las traducciones son palabras revoltijos. Generalmente, aunque, usted puede captar lo esencial del artículo si usted ignora los errores gramaticales. Si usted sólo quiere traducir una palabra, una caja de traductor de Referencia de Palabra (Word Reference) es también en la columna derecha. Escriba a máquina la palabra en la caja, escoge el idioma que usted traduce de y a, y el clic "go". La Referencia de la Palabra (Word Reference) es un foro en línea excelente de diccionario y discusión. No deje apenas después de leer la definición. Debajo de la definición, la mayoría de las palabras tendrán también una lista de enlaces a discusiones relacionadas por los miembros del foro. Desde que las definiciones de diccionario no siempre ayudan porque palabras a menudo son utilizadas de forma distinta en países diferentes, los foros son un gran lugar de averiguar cómo una palabra es utilizada realmente en el idioma diario o cómo una palabra quizás tenga un significado diferente en Iberoamérica vs. España o Sudamérica, por ejemplo. Yo puedo leer poco bien en español pero utilizo la Referencia de Palabra casi cada día para traducir una o dos palabras. Para traducir otras páginas web, Google Traduce le permite traducir un bloque de texto (copia y lo pega) o una página web completa (ponga el URL). Tiene también un diccionario básico. AltaVista Babel Fish puede traducir también un bloque de texto o sitio de web entero. Los resultados son muy semejantes con ambos de estos sitios − a veces bueno, a veces no tan bueno. Freetranslation.com es un servicio profesional la traducción pagada (del humano) pero proporciona también un traducción libre (de la computadora) traducción de un bloque de texto. Langenberg.com es un pórtico de la traducción a Google, a Vista de Alta, y a varios otros sitios de la traducción. Pegue un bloque de texto y usted puede ver las varias traducciones de varios sitios. Esto puede usar cuando un sitio particular le da una traducción absurda. Todos estos sitios pueden realizar las traducciones a y de inglés de y a muchos idiomas diferentes además de español. El diccionario oficial del idioma español puede ser encontrado en la Academia Real Española pero usted necesitará saber el español para entender las definiciones. ¿Entonces? ¿Como está la traducción? ¿Mejor que nada o mierda? By the way, I think I wore out WordReference so you might want to let it rest and recuperate for a while. Whenever we are invited somewhere, I always ask, "Is that real time or Honduran time?" There is a big difference, you know. We've been invited to parties that included dinner for, say, 7 p.m. A neighbor in particular has invited us several times. Since we were walking, the first time we waited until about 7:15 or so, and walked over. Not only were we the first, but we were the only ones until 8 p.m. or so. Many people arrived at 9 or 10 p.m. Another invitation for Thanksgiving dinner was for 5 p.m. Dinner wasn't served until almost 7 p.m. and STILL people arrived after dinner was already being served. How inconsiderate! I think that El Jefe gives his family a stern warning about "American time" because they are always here exactly on time. So, see, it can be done. And let's not even talk about people not being able to afford a watch! All cell phones have clocks, right? Our veterinarian was giving me a lecture last year because I was about a month late bringing one of my dogs in for her shots (which I already felt terrible about!). He jokingly accused me of becoming a Hondureña. He said gringos are always so dependable and compared me (unfavorably) to another gringa who has never brought her dog in late in 10 years. He said, "Do you know that doctors in the U.S. give people appointments for a year away, AND THE PEOPLE SHOW UP?!!!" Yes, I know that! Then he told me this funny, true story: A Canadian couple was having a dinner party for some colleagues. They knew about Honduran time, so they invited the North Americans to come at 7 p.m. and the Hondurans to come at 6 p.m. knowing that no one would show up before 7 p.m. Fresh out of the shower and dripping wet, one of the Canadians heard the doorbell precisely at 7 p.m. Apologizing to the guest, he said, "I didn't think anyone would come before 7." The guest said, "Oh, sorry, you must have me confused with the Hondurans. I'm Cuban." The vet was laughing so hard he could hardly finish the story. 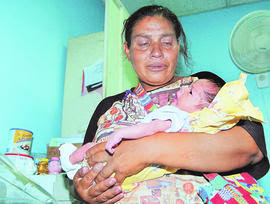 July 6: While her 10-year-old daughter Francis waited outside, Reyna Isabel Romero went into the hospital to give birth. She entered the waiting room at 4 p.m. and registered under a false name. A few minutes later, she gave birth to a daughter in the restroom. She came out bloody and told the nurses what had happened. She was taken to the recuperation room with the baby. Leaving her newborn naked on the bed, she told the other women in the room that she was going to get some clothes for the baby but she never returned. At midnight, a female hospital security guard encountered Francis crying in a corner of the hospital, fearing that something had happened to her mother. The security guard took her home because the girl had had nothing to eat or drink the entire day. Looking for the mother the following day, it was discovered that she had abandoned both children. Francis commented that, with the new baby, there were 11 children in the house. "But I don't want to go back because my mama doesn't treat me well. My father doesn't live with us; he abandoned us when we were little," said the child. "I don't want to be separated from her," Francis said as she was feeding the baby with a bottle. She said that she had been in the 4th grade in school but her mother took her out of school to work. Her hope is that she and her baby sister can be put in a decent home together. The director of the hospital manifested his concern that babies are abandoned daily in the hospital. 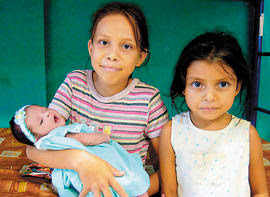 July 8: Reyna Isabel Romero, 33, returned to the hospital saying that it wasn't her intention to abandon her daughters. It seems that no one knew Reyna was pregnant except Francis. Luis Alonso Mejía, her compañero de hogar (companion of the house, common law husband) said that Reyna returned home and prepared his dinner on Friday like normal, saying that the hospital had given her an IV for her stomachache. Asking where Francis was, Reyna answered that she had lost her and would look for her on Saturday. It wasn't until Sunday that she showed him the newspaper article and confessed the truth. Mejía, who is wheelchair bound and sustains his family by begging from cars at the streetlights, says he doesn't understand why Reyna would hide her pregnancy from him. 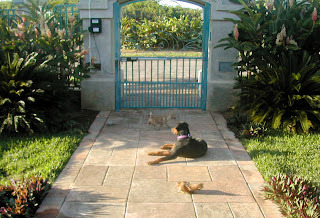 "I didn't want to abandon them. I went to look for Francis because I remembered that she hadn't eaten. When I couldn't find her, I went home to see if she was there," expressed the mother. "I registered under my sister-in-law's name because I don't have an ID card. I didn't come back Saturday because I had to sweep the streets. If I didn't, I would be left without a job." July 9: The Fiscalía took custody of Francis, her 5-year-old sister Marisol, and her newborn sister. "Don't take my daughters! Perhaps the crime is to be poor!" cried Mejía, the father. Reyna stated that she had to work and that she didn't know that she was pregnant. She also stated that of her 11 pregnancies, six were alive, two died from illnesses, and three were aborted, forced by her ex-husband who mistreated her. (Yet a different story.) After hearing the declaration of the mother, the social worker determined that further investigation is needed. Francis cried, repenting that she had denounced her mother. The full articles can be read by clicking on the dates above.